A Tasty Thought by JG: Sights in Autumn! Yesterday was a beautiful autumn day! Today is too! 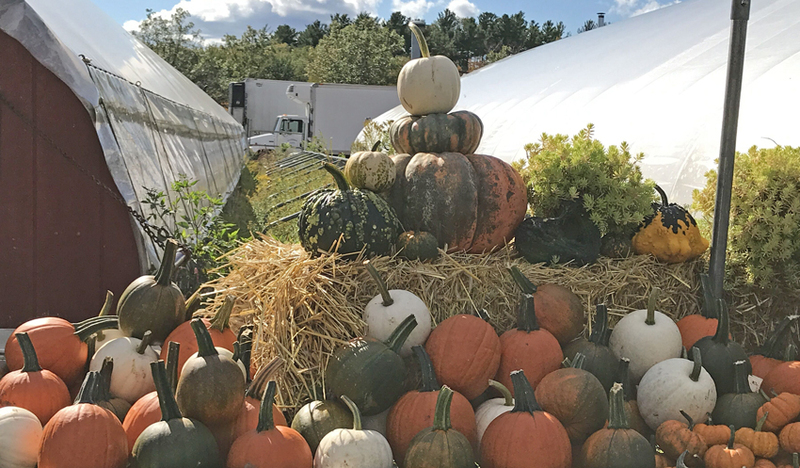 The end of September is here, so it's the perfect time for the annual visit to Meadowbrook Farm in East Longmeadow (MA) for the bushel of Butternut Squash. Nothing like purchasing the delicious orange veggie direct from the farm where it is grown. It's a tradition to take the short drive and make the purchase. The greenhouses are filled with assortments of pumpkins, too. Sights of the Fall season are everywhere. 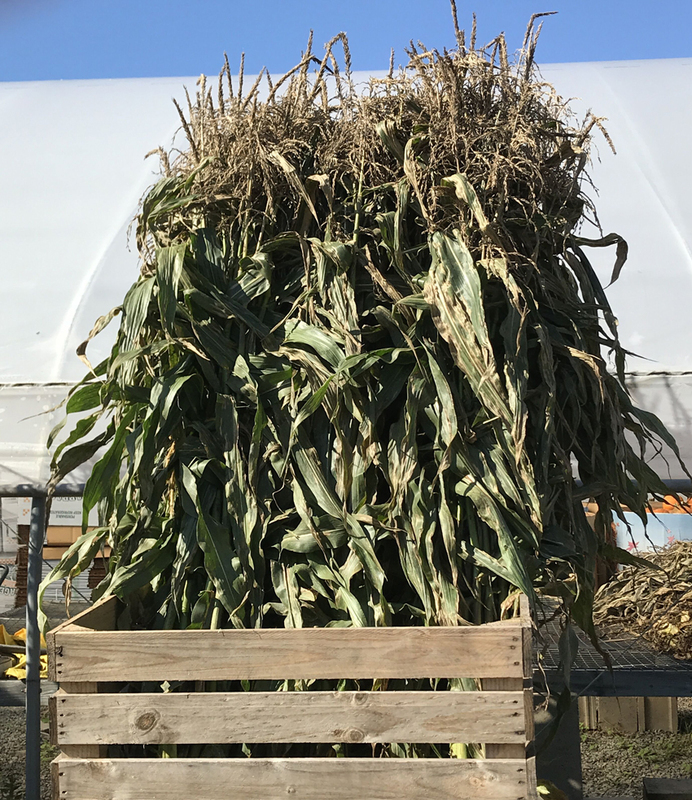 The cornstalks show us that the fresh native corn season has - ended. The bushel of Butternut is now in our garage. It just would not be autumn if we did not make this purchase. A few at a time the squash will be prepped. The mashed yummy vegetable will be placed in freezer bags to enjoy during the other months of the year. There's always a special place for it on our Thanksgiving Day dinner table. Is Butternut Squash Bread in my future, maybe, also?? Sure is! These are some of the sights of Autumn in Massachusetts! Great pics, Judy! 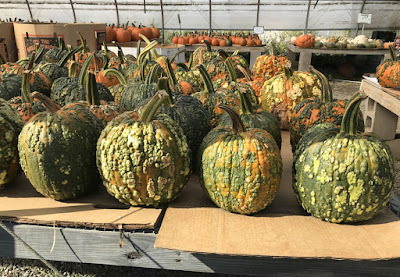 Bet your squash is great to eat through the winter. Chilly, cloudy, and rainy here, we need sunshine! Take care and have a good week! How neat! I love all the odd shapes and sizes! 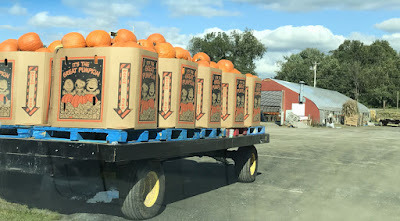 I'll probably buy some at the grocery store this year! I know I want some mums! Happy Fall! Pam- We steam/ prep it for the freezer. So yummy! 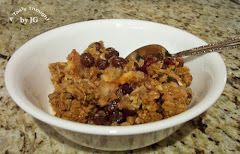 Easy veggie to reheat in the microwave the other months of the year. Your weather sounds like ours. Lavender Dreamer- They are so interesting to look at. This year I did not purchase Mums. Our yellow marigold plants look like large Mums. The 3 Mums that did survive the winter have small buds. Hopefully, they will blossom this autumn.